An ubu wakizashi by the second generation Awataguchi Tadatsuna. Signed, Awataguchi Omi no Kami Tadatsuna Hawatare: 1 shaku 6 sun 9 bu (51.21 cm / 20.16").Motohaba: 2.78 cm. Kasane 8.9 mm. Sori 2.78 cm. Tapering suguba yakidashi, wide gunome notare midare, tobiyaki, brilliant habuchi, ashi iri, ha nie, kinsuji, nado. Itame hada with ji nie and chikei. Dated works are rare. 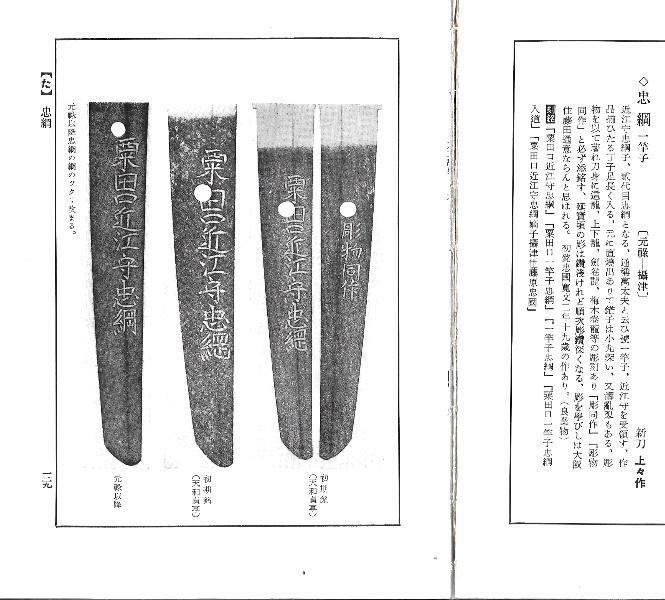 In polish mounted in shirasaya, with sayagaki. NBTHK Tokubetsu Hozon. ozon kanteisho. Fujishiro's Nihon Toko Jiten - Shinto Hen rates him as Jojosaku, with a sharpness rating of Ryo-wazamono. In Toko Taikan Tokuno rates him at 10,000,000 yen. 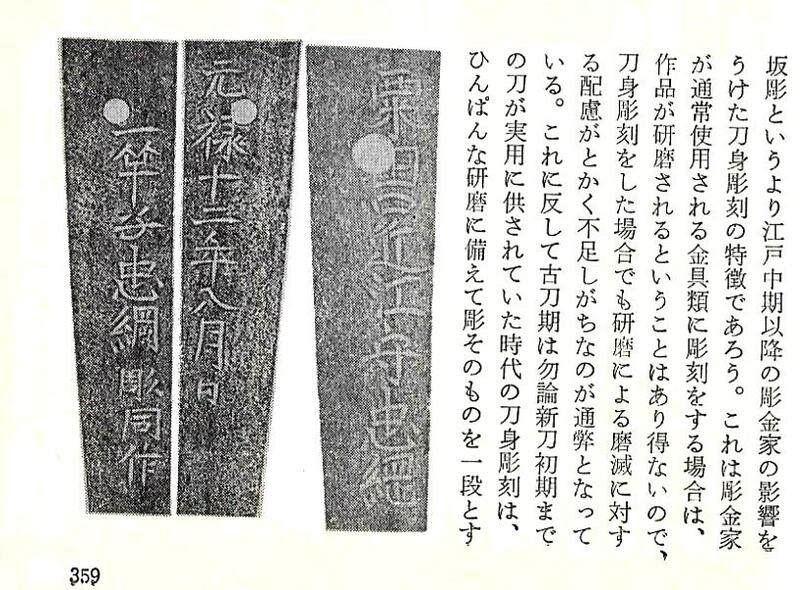 Shinto Taikan devotes nineteen and one half pages to him. Ikkansai Tadatsuna was the son of Omi no Kami Tadatsuna, both of whom worked in Settsu province. His initial mei was Tadakuni, when he was nineteen in Kambun ninen (1662). His work around Enpo (1673 - 1681) tended to have shallow horimono, which became increasingly deeper as he matured. 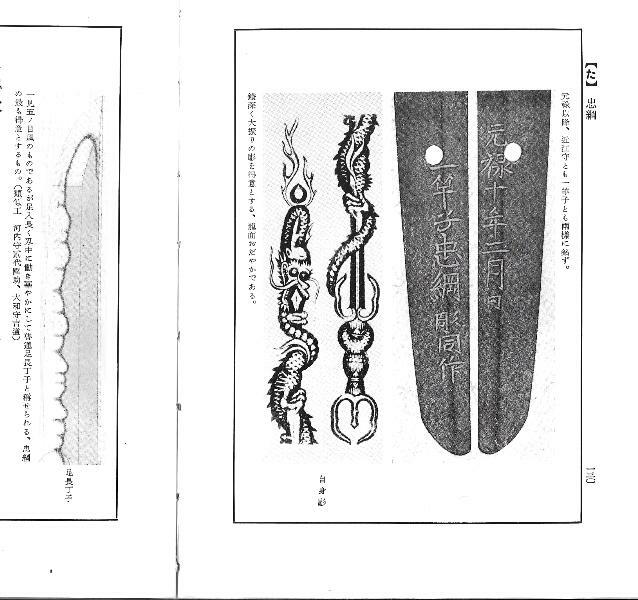 It is thought that he learned horimono engraving from Osaka ju Fujita. Tadatsuna is known for his masterful horimono. As of 2000, there were 23 juyo, 13 of which are wakizashi.